2015 NC Youth Conservation Corps and the Blue Ridge Parkway | Protecting the Blue Ridge Parkway in N.C. 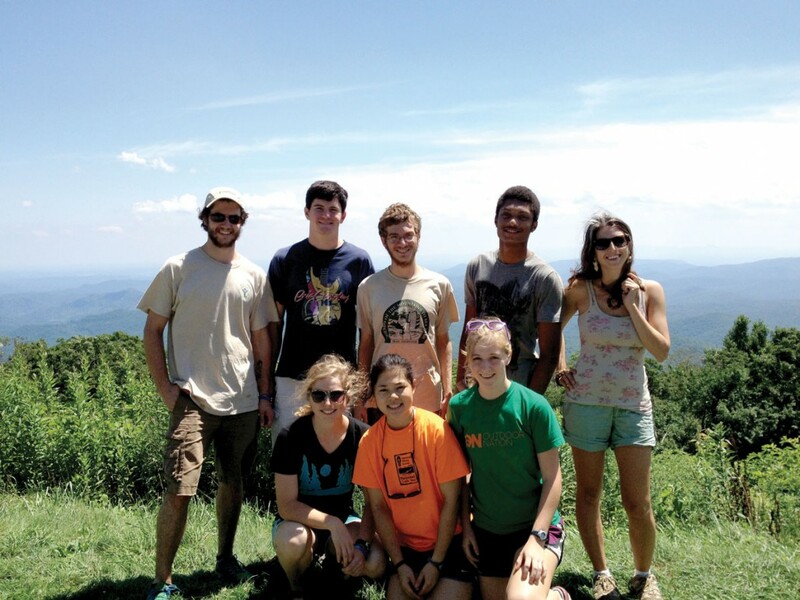 In summer 2015, the North Carolina Youth Conservation Corps (NCYCC) placed a crew of ten young adults on the Blue Ridge Parkway for seven weeks to build and improve hiking trails and other recreational facilities near Boone and Blowing Rock. A partnership among the Blue Ridge Parkway Foundation, the Conservation Trust for North Carolina (CTNC), generous private donors, and the National Park Service made the crew’s work possible. Plans are underway for NCYCC crews to be placed on the Parkway in future years as well. The 2015 crew constructed and maintained hiking trails, rebuilt historic fencing, removed invasive plants, and repaired worn down facilities within the Sandy Flats sub- district located between Mileposts 260 and 305. The NCYCC is a partnership between the Conservation Trust for North Carolina and the Vermont Youth Conservation Corps. It is a comprehensive youth development program that uses the natural world as a platform to teach job and leadership skills, environmental stewardship, and personal responsibility. Participants are 16 to 24 years of age and work in crews of eight members with two trained leaders. All crew members are from North Carolina. Crews work eight hours a day, five days a week, and crew members earn minimum wage. The crew camps the entire seven weeks. The 2015 Parkway crew camped at the Julian Price Campground. “Like the Civilian Conservation Corps of the 1930s, we are mobilizing young people to expand public access to parks and trails while providing the crew members with a paid job that teaches valuable work skills and personal responsibility,” said Reid Wilson, CTNC Executive Director. The crew’s work projects were identified by the NPS as critical needs. Some of the projects are part of the NPS’s Centennial Initiative, an effort to improve visitor services and outreach to new audiences in celebration of the NPS’s 100 year anniversary in 2016.